“For instance, a coastal superhighway from Lagos to Dakar in West Africa would cut across 11 economic territories. 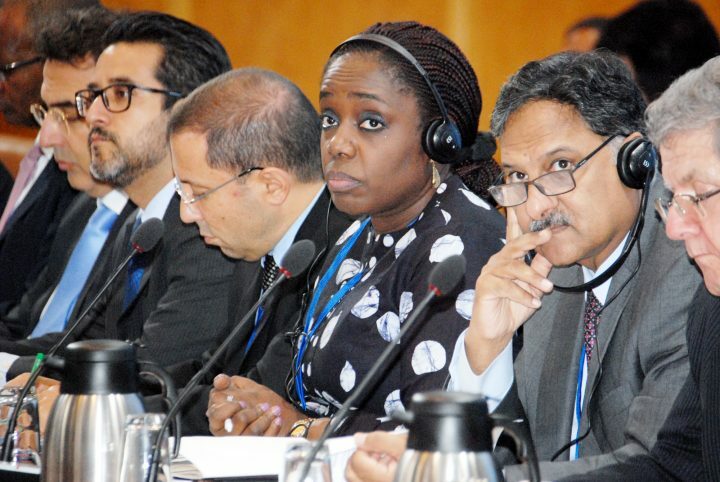 Another Trans-Sahel highway from Northwest Nigeria to Mauritania would provide access and boost economic activities of land-lock countries like Niger, Burkina Faso, and Mali,” stated Adeosun while speaking on behalf of Nigeria and 30 other countries during the G24 Ministers and Governors meeting. The IMF Managing Director, Christine Lagarde, advised low-income countries to be very cautious in dealing with investors, noting that there was a huge surge yield on the path of investors. On energy deficiency, she counseled developing countries to identify what could be done to create a favourable environment for renewable energy.